Invisible braces bonded to the inside of your teeth for discreet realignment. Lingual braces work in the same way as metal or ceramic fixed braces, with one important difference. Instead of being visibly mounted to the outside of the tooth, they’re bonded to the inside surface of your teeth. At Splash Orthodontics, we use the Incognito brand of lingual braces. Lingual braces offer excellent control over tooth movement, and many celebrities choose them for their remarkably discreet appearance. Using the bracket and archwire system of traditional fixed braces, lingual braces are fitted to the inside of your teeth so no-one can see them. 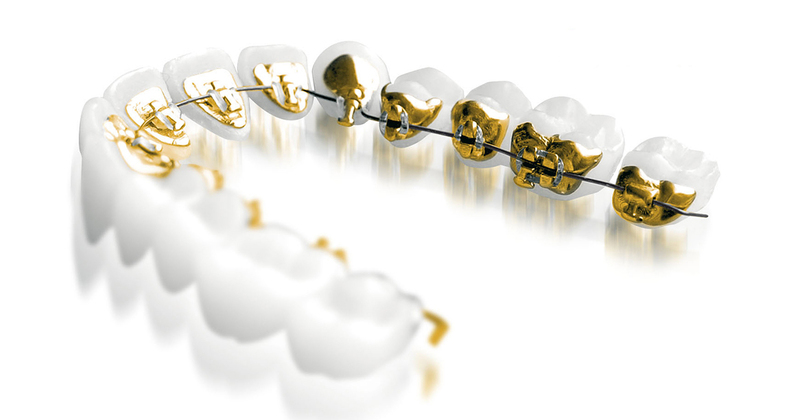 Lingual braces work in the same way as metal braces do to move your teeth into their desired position. But because they sit inside your teeth, they are harder to clean. 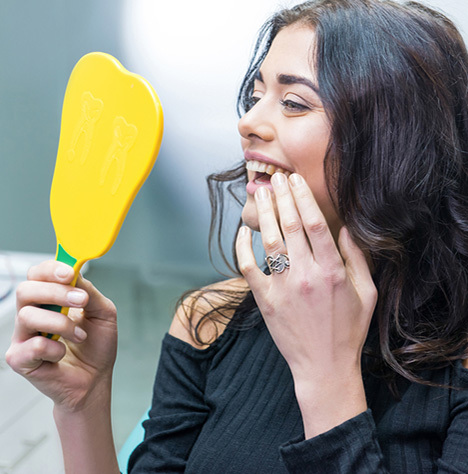 They can also be more uncomfortable at first and regular adjustments will take longer and are more difficult than metal braces, but they are a great option for adults who want discreet orthodontic treatment. Are lingual braces suitable for me? Lingual braces aren’t appropriate for everyone, particularly patients who have extreme orthodontic problems. They can also be harder to clean and adjust. However, rest assured that before your treatment begins we’ll talk everything through with you and make sure you’ve made the best choice for you as an individual. Book a free consultation with us to see if lingual braces are right for you.